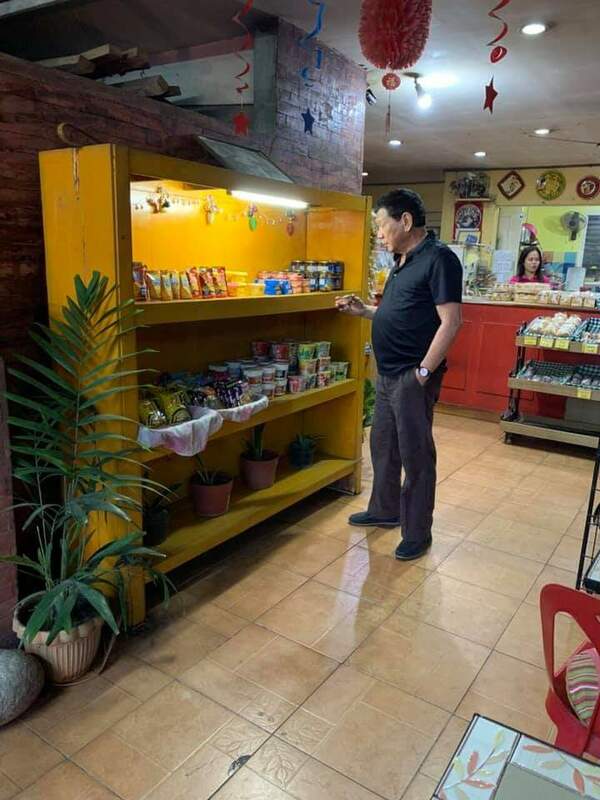 LOOK: What does Duterte eat for breakfast? 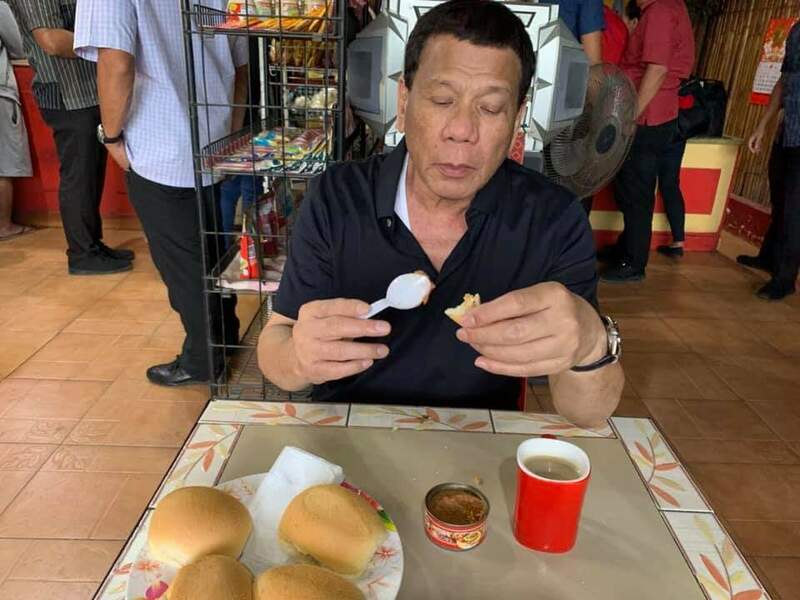 To quash speculation about President Rodrigo Duterte’s health, his former presidential aide Christopher “Bong” Go on Monday released three photos of the chief executive enjoying his breakfast this morning. 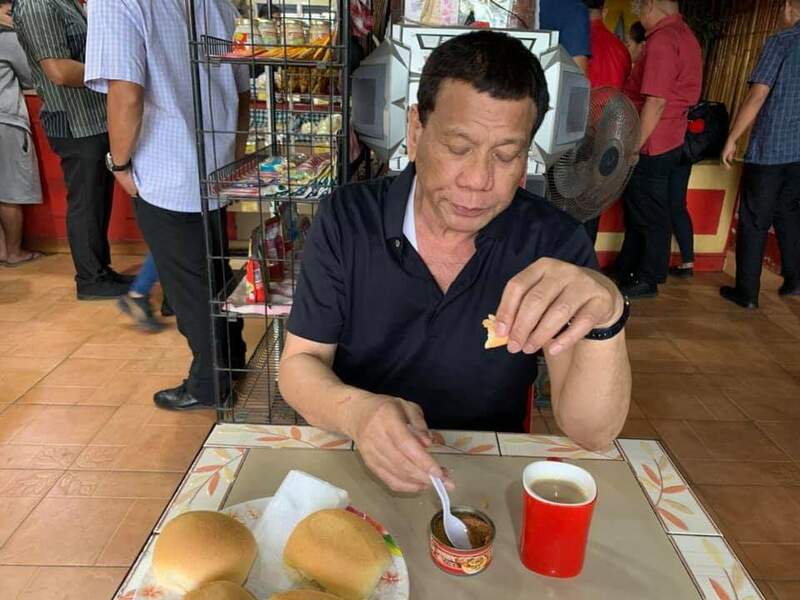 The photos showed Duterte having bread and coffee at his favorite bakery in Davao City. On Friday, the President skipped his scheduled events in his hometown due to a headache. He was supposed to distribute land certificates at 5 p.m. and to attend the campaign rally of the administration Partido Demokratiko Pilipino-Lakas ng Bayan senatorial candidates at 6:30 p.m.
Later that day, Go shared a photo of Duterte eating siopao (hot bun) while reading some documents at the dinner table. “Medyo nagutom si (President Duterte) habang nagtatrabaho at nagbabasa. Midnight snacks,” his caption read.